VPNs are blocked for many reasons and in many ways, but there are just as many ways to unblock a VPN too. Is your VPN blocked? Don't panic. Unblock it with these tips. A good VPN can be an excellent tool for enhancing your privacy and security. It can help you with many tasks from bypassing restrictions for your favorite streaming services to even saving you money on your next vacation. 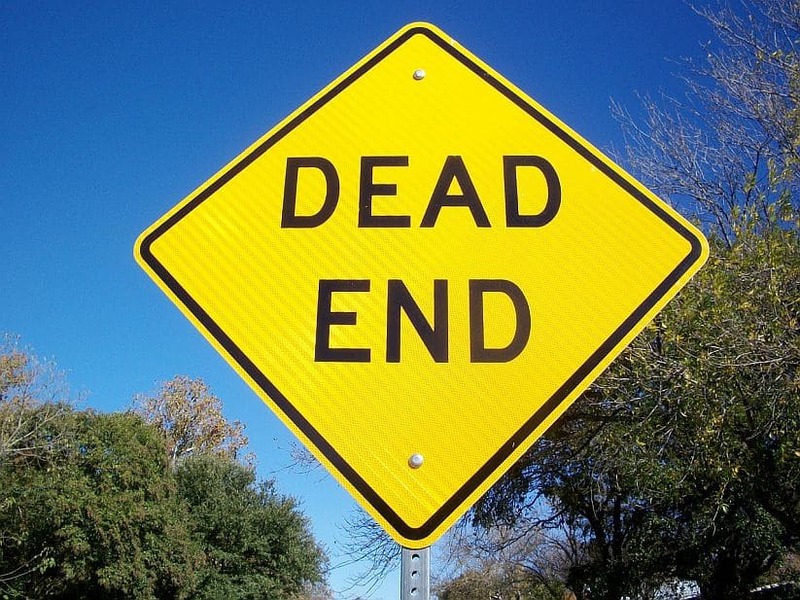 But what happens when you load up your VPN and realize that your web traffic is blocked – or just really, really slow? Your VPN is probably blocked, but don’t freak out. We’re going to show you how to unblock your VPN. Is it Illegal to Unblock Your VPN? First things first, it’d help to actually know why your VPN is blocked. And there are a few possibilities. It’s bad enough that airlines and hotels charge so much for WiFi, but they also tend to block VPNs. Because otherwise you’d just stream Netflix instead of paying for their overpriced in-flight movies, and they can’t have that. Surprise, surprise, your boss doesn’t want you spending all day on Reddit, social media, or looking at stuff that’s not safe for work (you know what we’re talking about). Some employers also want to know everything you do online while at work, to the extent of reading your emails and more. Since a VPN makes you harder to monitor and allows you to bypass website blocks, they’ll try to block you from using a VPN entirely. Schools and colleges control your Internet access for much the same reason as employers. And they’re even more serious about inappropriate content, since they are committed to provides their students with a “safe space”. But a VPN makes it all too easy for savvy students to access their favorite websites from gaming to 4chan and everything in between all from the comfort of the campus library, so it’s in your school’s interest to block VPNs. But these businesses aren’t able to maximize profits when you do this, so streaming sites have become increasingly interested in blocking VPNs too. Countries like the United Arab Emirates (UAE), China, and Iran are among the biggest state censors of the internet, and since a VPN would help get around their restrictions, it makes sense that they’d want to control VPN use as well. If you’re in one of these countries, it’s pretty much a guarantee that your VPN will be blocked. Now that we know why your VPN is blocked, let’s look at how VPN blocks are put in place. One of the most common – and unfortunately the strongest – forms of VPN blocking is something known as deep packet inspection, or DPI. In short, deep packet inspection is a way of, well, inspecting your Internet packets as they travel between your computer or Internet-enabled devices and the Internet-at-large. Although a VPN encrypts your Internet traffic and this means the state censors won’t be able to see the actual contents of the packets, they will be able to see that you’re using a VPN in general – and block it. Another common tactic is to block a VPN’s known IP addresses. This is an easier block to implement, but it’s not as effective as DPI, since there are thousands of IPs addresses among the various VPN services and it’s very tough to block them all. Plus, VPN services are always adding new IP addresses, so this is type of VPN blocking is like a game of cat and mouse or whack-a-mole. There are certain ports used primarily by VPN traffic, with 1194 being the most common. Blocking these ports altogether will block any VPN that’s using them too. The most basic form of VPN blocking is blocking the VPN websites themselves, which will stop you from subscribing, logging into your account, and/or downloading their software. Of course, this doesn’t matter at all if you’ve already got a VPN on your device, and there are other ways to run a VPN on your school or library’s computer without downloading it online. Okay, enough background. Let’s talk about what you really came for, actually how to unblock your VPN. If you just need to check Facebook or Reddit and you have a mobile data plan on your smartphone, the easiest option is to simply use your phone/tablet – or even create a mobile hotspot with your phone to connect to. This isn’t the most robust option, but it’ll save a lot of people some trouble, especially if they just need a quick fix like to overcome a Wi-Fi hotspot that’s blocking their VPN. If your VPN is only being blocked by IP address, unblocking could be as simple as changing servers. If all of your VPN’s IP addresses seemed blocked, you could consider trying another VPN entirely. Many VPN services offer a free trial (or money-back guarantee period) if you want to try-before-you buy and make sure it is not blocked for the purposes you have in mind. While some ports may be blocked to stop VPN use, they can’t block them all – or there wouldn’t be any Internet access. One of the most commonly used ports you could try, 443, is for HTTPS traffic, like online shopping and banking. Your VPN traffic is already encrypted, but by routing it through port 443, it’ll be encrypted by SSL too, which makes it harder to block and even for DPI to detect. 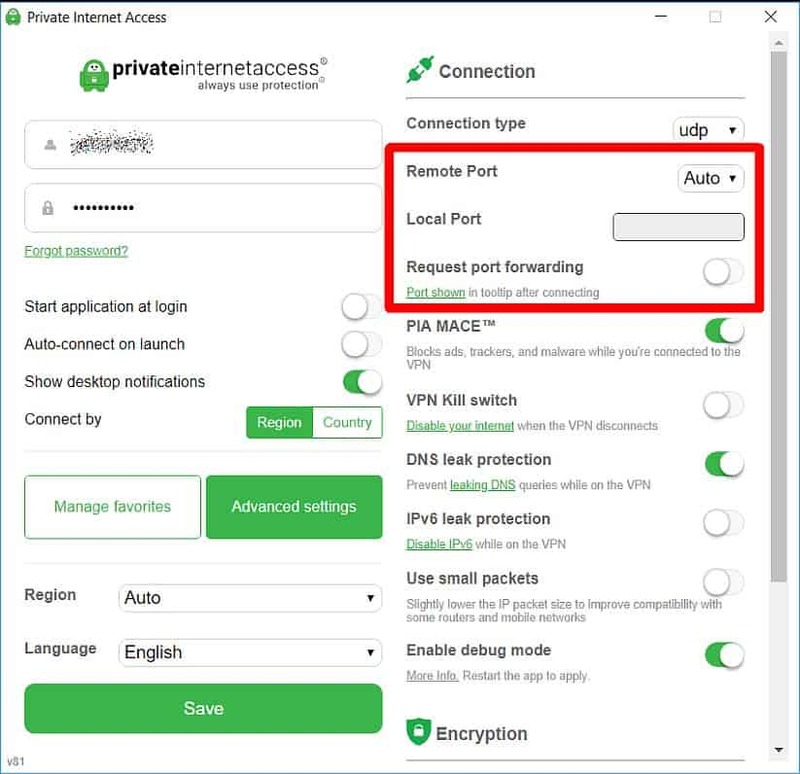 Changing port's is easy in PIA for unblocking your VPN. Fortunately, the best VPN providers make it easy to change ports. Some even have dedicated servers that use port 443. For example, in the Windows VPN app for Private Internet Access, access its Settings (see screenshot). You’ll see the item Remote Port with a drop down list. “Hey, I selected it but don’t see Port 443!” Chill. Choose Connection Type TCP. Once you do that, you’ll see 443 in the Remote Port drop down list. You can check out PIA's detailed instructions and video on the subject. If changing your port doesn’t work – or you just want the easiest and most foolproof solution to beat a VPN block – we’d recommend investing in a VPN with “stealth” technology. 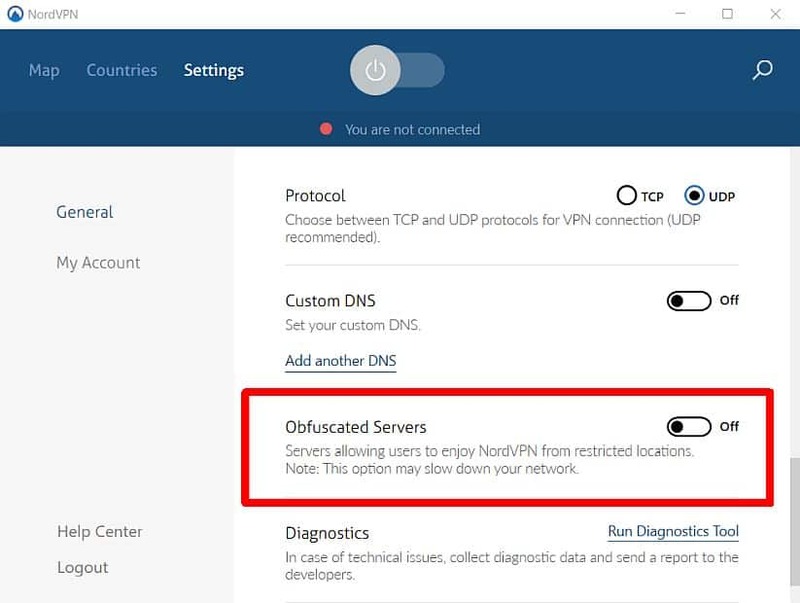 With the push of a button, your VPN use will no longer be detectable by DPI. Now, there is another option similar to using a Stealth VPN, and that’s running your VPN with Tor, The Onion Router. But there’s a catch. Your connection will be even further routed around than using a VPN alone, causing a noticeable decrease in your Internet speeds. If the other tricks didn’t work or you’re interested in maximum privacy, VPN with Tor can be achieved with obfsproxy, but it’s a little complicated. The easier option is to switch to a VPN that has this feature built in. In the vast majority of cases, it’s not illegal to unblock your VPN. The biggest exception is the UAE, where all VPN use is illegal and punishable by huge fines – and even the possibility of prison time. So be careful if travelling there. Of course, while it may be perfectly legal to unblock your VPN at work or school, there’s a risk you could still be disciplined doing so. Maybe it’s just a slap on the wrist, but termination or expulsion could be possibilities, depending on your employer or school. So keep this in mind. * Disclaimer: We are not lawyers and this section does not constitute legal or similar advice. Thanks! By applying the VPN unblocking tips and tricks above, you’ll be able to use your VPN at work, school, or while sitting on the Great Wall of China. And that’s the way it should be. Which method works best for you? Let us know in the comments!